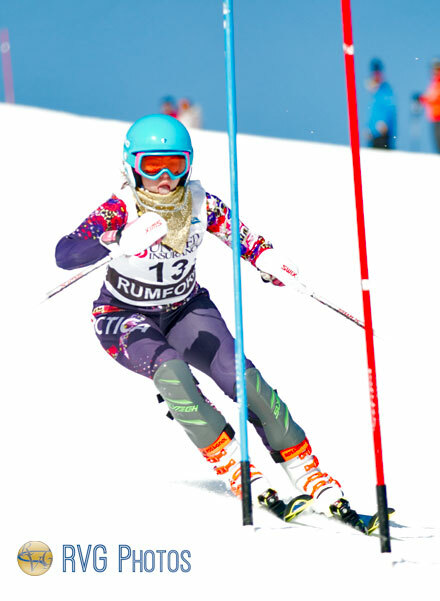 Julia Pomeroy, a skimeister skiing for Spruce Mountain HS in Jay, won the Girls Class B Giant Slalom Championships at Black Mountain of Maine in Rumford on February 21st. The Phoenix Senior had runs of 51.37 and 56.10 to win with a two-run total of 1:47.47. Finishing in second place was Abigal Landry of Telstar with a combined time of 1:49.73. Grabbing the final podium position was Maranacook's Katie Ide, who finished at 1:50.24. Alice MacKay of Mt. Abram (1:50.32), Caroline Welch of Maranacook (1:50.42) and John Bapst's Abbie Tyler (1:50.74) finished in the next three positions. 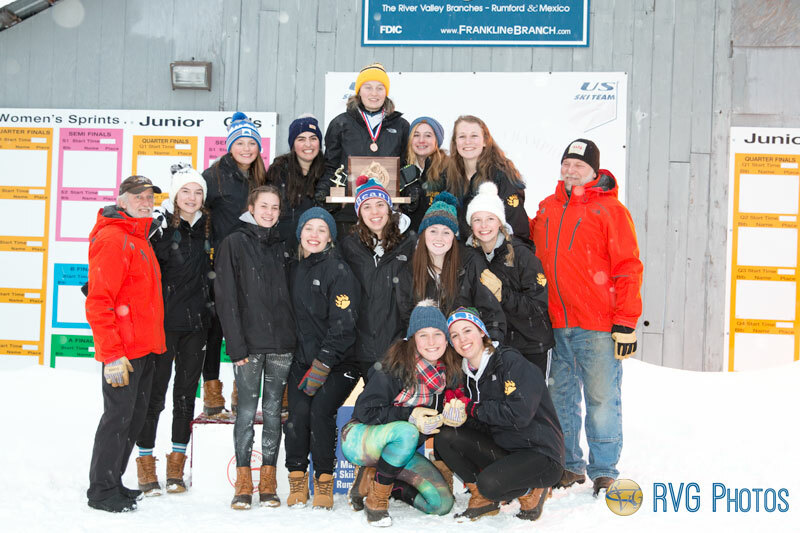 The Maranacook girls captured the State Alpine Championship with 1,501 points, with Fort Kent coming in second. In the boys race, Cape Elizabeth Senior Devon Lathrop grabbed the gold with a two-run total of 1:42.93. 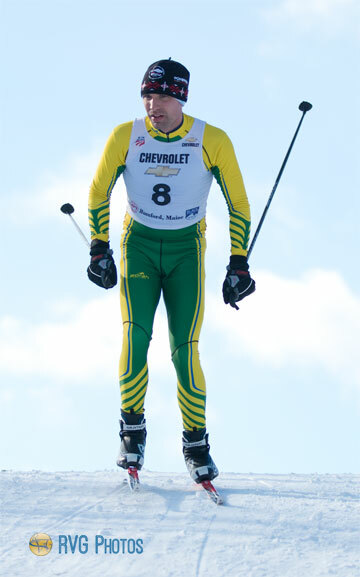 He was followed by teammate and slalom champion Killian Lathrop, who had a combined score of 1:43.95. Finishing third was Yarmouth's Thomas Morris with a time of 1:44.00. In fourth place was Wisdom's Jacob Roy, who led the field after the first run. Fifth place went to Cape's Tiernan Lathrop (1:45.05) while Lake Region's Logan Davis finished in sixth (1:45.19). 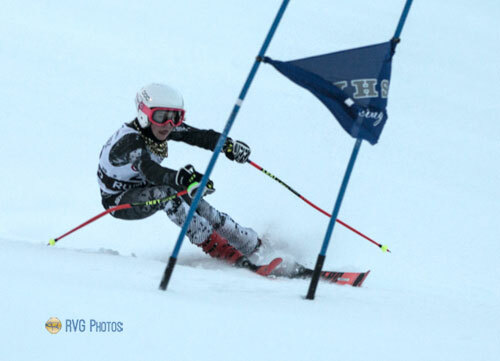 Abbie Tyler of John Bapst High School had runs of 43.52 and 51.00 for a two-run total of 1:34.52 to win the girls 2019 MPA Class B State Champion Slalom race at Black Mountain in Rumford on February 20. Finishing closely behind the Crusader Junior was Abigal Landry of Telstar, who had a two-run total of 1:34.68. 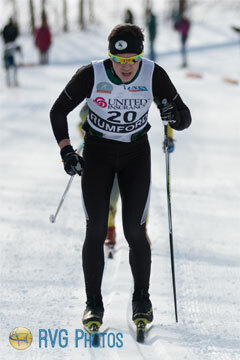 Third place went to Spruce Mountain skimeister Julia Pomeroy with a two-run total of 1:37.11. Rounding out the top six were Riley Sibley of Fort Kent (1:37.92), Dana Schwartz of Cape Elizabeth (1:38.33), and Eleanor Donahue of Yarmouth (1:41.26). In the boys race, Junior Killian Lathrop of Cape Elizabeth HS was crowned state champion with runs of 39.80 and 44.75 for a two-run total of 1:24.55. 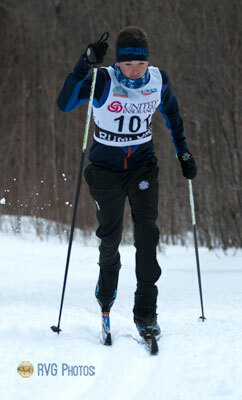 Coming in second place was Jacob Roy, and impressive junior skier competing for Wisdom HS in St. Agatha. He had a two-run total of 1:24.69. In third place was Robbie McKee of Maranacook at 1:26.39. 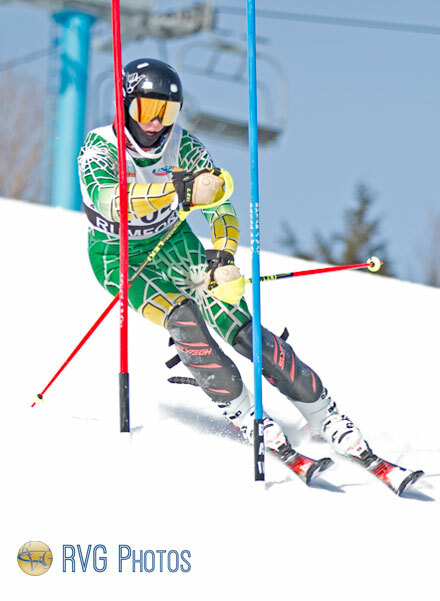 Other top skiers in the slalom were Devon Lathrop (127.31) and Tiernan Lathrop (1:28.58) of Cape and Yarmouth Hish School's Thomas Morris (128.85). 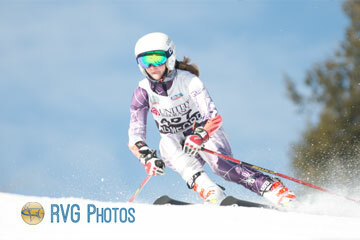 Competition continues on Thursday with the Giant Slalom. All scheduled events have been moved back one hour in anticipation of the snowstorm that is predicted for the overnight hours. First runs are now scheduled to begin at 10:00 am. 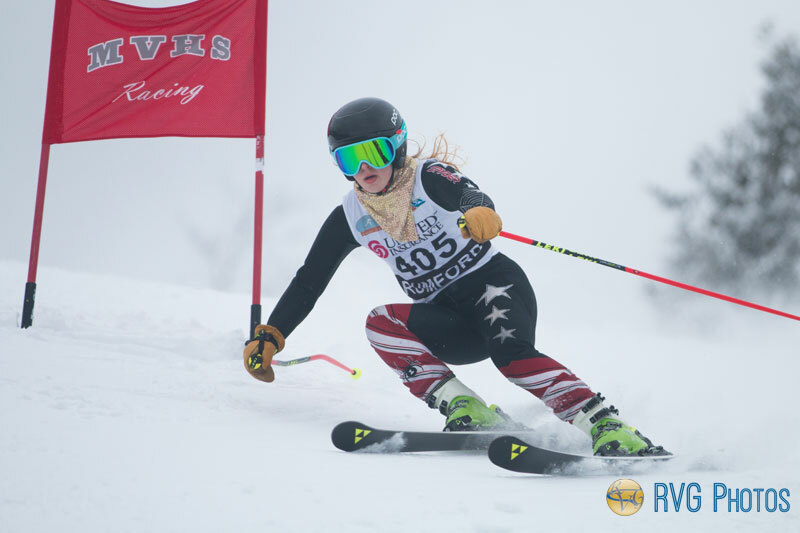 Day 1 of the Maine Junior Ski League Championships kicked off on February 16th with the girls 3k Classical Nordic race at Black Mountain. 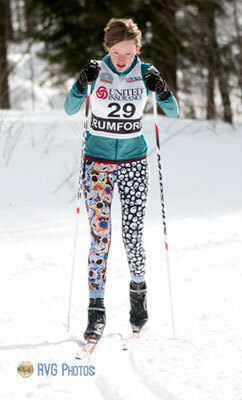 Bridget Reusch of Farmington Area Ski Team took top honors, completing the course in 11:22.2. Her sister and teammate came in second, finishing in 12:12.0. 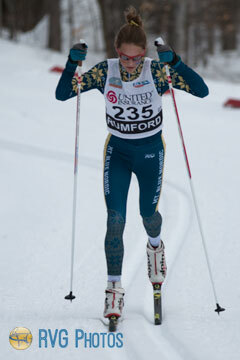 Third place went to another FAST skier, Kamryn Joyce, who crossed the finish line in 12:29.3. Rounding out the top six were Naomi Macgadney of Central Maine in 12:31.7, Nora McCourt of FAST (12:45.0), and Nellie Wotton of FAST (13:02.5). In the boys race, it was Ellis Slover of Auburn taking the title with a time of 10:06.4. Second place went to Zachary Ross of Central Maine, who strided to a 10:30.0 finish. Bon Condit of Auburn grabbed third place, finishing in 10:59.1. Other top finishers were Beckett Cote of Central Maine (11:03.2), his teammate Lucas Newsom (11:24.4), and Carson Zundel of FAST (11:28.6). Day 2 of the competition will be held at Lost Valley in Auburn on Wednesday, February 27th with the 3k Freestyle beginning at 2:00 pm. 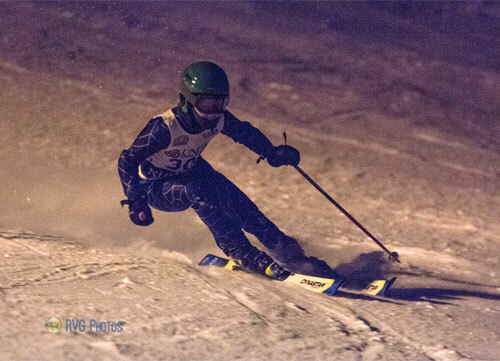 Gordon Taylor, skiing for the Farmington Area Ski Team, captured the gold medal in the Maine Junior Ski League Giant Slalom Championships under the lights at Black Mountain of Maine on February 16th. Taylor had a two-run time of 1:09.56 to top a field of 66 finishers. Finishing in second place was Riley Jerome of Telstar Middle School with a combined time of 1:11.38. Rangeley's Breezy Quimby took the bronze medal with a combined time of 1:13.12. 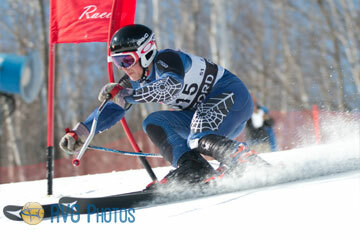 Charlie Koenig of the Sugarloaf Area Ski Team came in fourth at 1:13.26. Ava Beaudin, an Independent came in fifth (1:14.16) with Nya Wolfe of SAST (1:14.80) taking sixth. 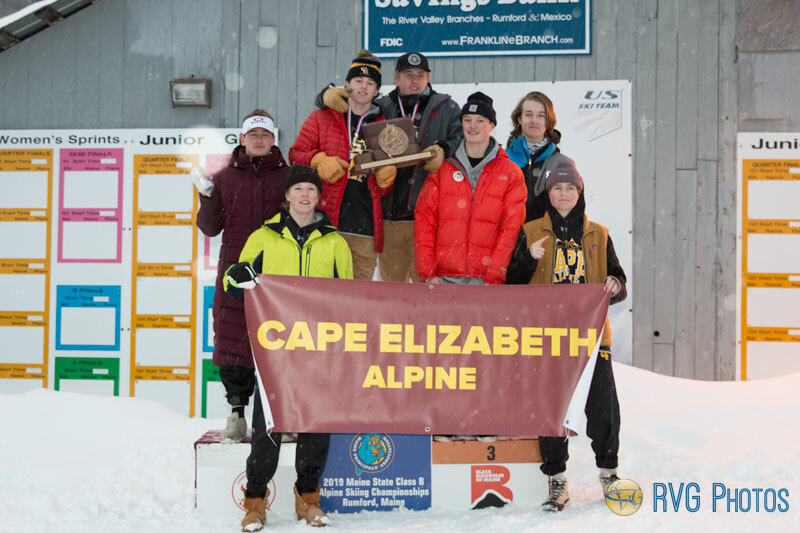 In the Boys GS, Charlie Pye of Rangeley took top honors with a combined score of 1:15.05, Grabbing the silver was Bryce Marcoux of Chisholm Alpine Race Team, finishing with 1:15.12. Taking the final podium position was Jett Lindel of Camden Snow Bowl in 1:15.54. Rounding out the top six were Emmet Marshall of CSB (1:16.57), Asa Stroman of FAST (1:18.05). and Landon Marquis of CSB (1:18.30). The MJSL Championships continue on Wednesday, February 27th at Lost Valley in Auburn. 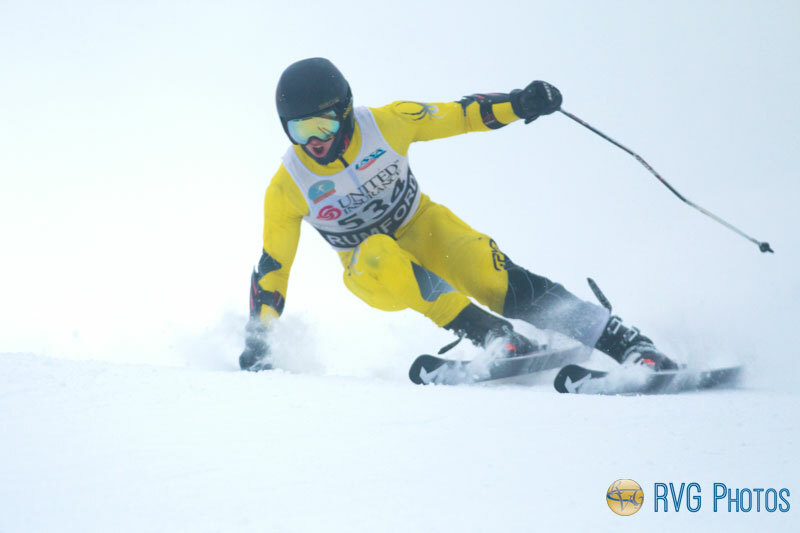 The Alpine Slalom Championships are scheduled to begin at 10:00 am.